WP1 will assure proper execution of the administrative and financial tasks. Within WP2, three case studies with European scope will be performed to show the adequacy and relevance of the tool through later demonstration of these case studies in simulated scenarios supported by WP6 tools ; WP2 will define the requirement of models developed in WP3 and the data needed in WP4. 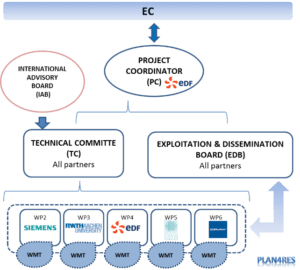 WP3 will provide a description of the electricity system, its interaction with other energy systems and detailed mathematical description of models (some based on evolutions of existing models, others developed by the project). It will provide functional and mathematical description as well as model interactions as inputs for WP5 and WP6 implementation. 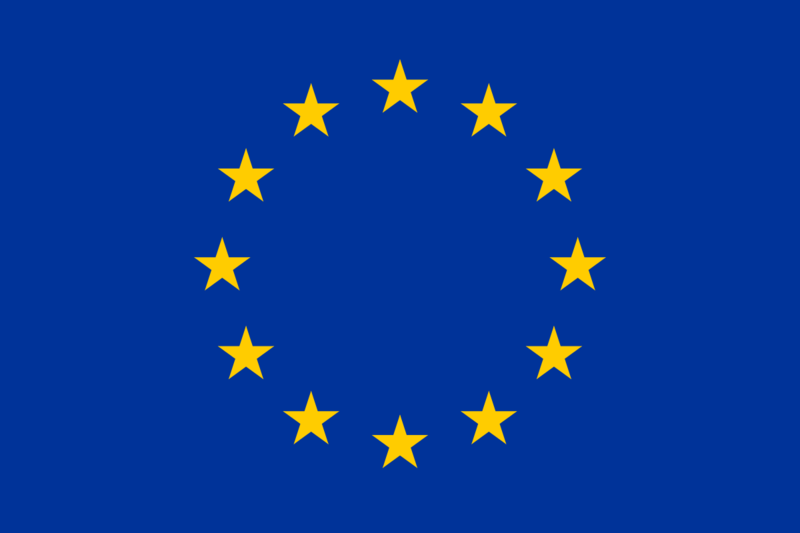 WP4 will design a data structure –including input/output data formats – for the tools implemented within the project, implement a data platform which will be the repository for all data, and compute the specific data sets for case studies. In a bidirectional way, WP4 will provide the necessary data for each model in WP3, defining the input/output formats of each model, but also WP3 will set data requirements for WP4 execution. The data will then be used to perform the case studies. WP5 will provide common algorithms and mathematical methods needed for solving the considered problems (mainly decomposition algorithms and solvers as well as MILP algorithms and solvers). Specific adaptations to fine tune those algorithms for the specific purpose of the tool will be performed. The selected solving methods will be directly linked to WP6 implementation. WP6 will implement the modes described inWP3, solved by the methods from WP5. 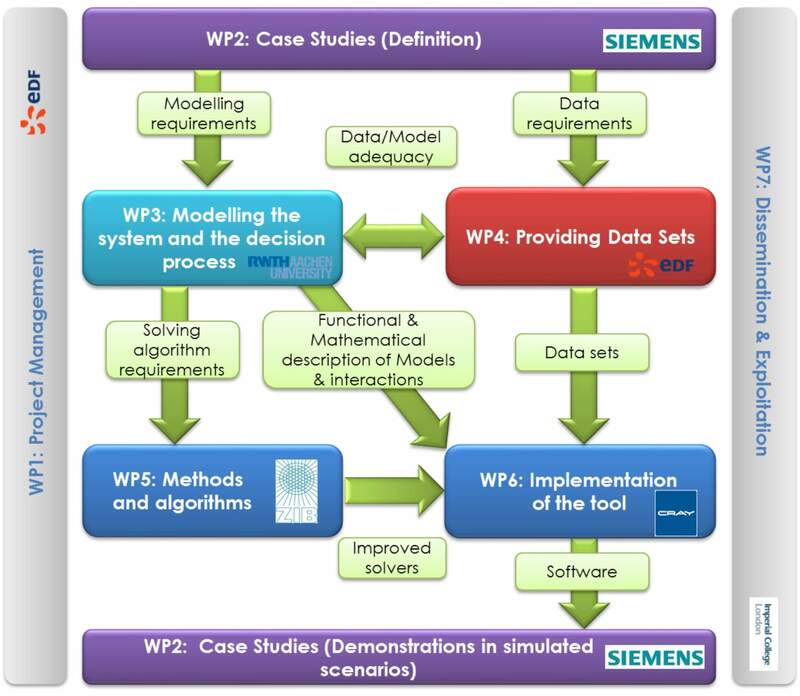 WP6 comprises tasks to provide the tools to enable seamless integration of self-contained/opaque models, to define standardized interface architecture for models developed in the project, and to provide a workflow coordination infrastructure to orchestrate the efficient execution of the problem-specific coupling of models at all levels. Prototypes for case-studies will also be developed. WP7 will be dedicated to the planning and execution of the project dissemination and implementation. The Project Coordinator (EDF) will be in charge of coordinating project management and reporting activities. The Technical Committee (TC) will act as the supervisory body for the project execution. The Work Package Management Team (WPMT) will be in charge of managing all day-to-day activities, including technical work and reporting to the TC. The International Advisory Board (IAB) will provide the PC with consultancy on technical activities for further empowering the efficiency of the project coordination and management. The Exploitation & Dissemination Board (EDB) will approve the exploitation plan and all dissemination actions.